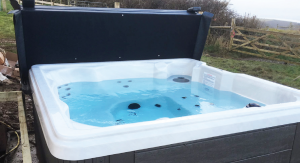 Superior Spas has become the preferred hot tub supplier to the UK’s leading and fastest-growing independent holiday home provider, Sykes Holiday Cottages. Supplying hot tubs to Sykes’ vast portfolio of more than 10,000 properties, Superior Spas is a UK leader in the holiday hot tub sector and is committed to customer services, reliability, and delivering products that are of exceptional quality. The partnership follows the introduction of new regulations1 for commercial properties and holiday lets which came into force last year. The regulations provide essential guidance on controlling potentially harmful bacteria in spa-pool systems. Superior Spas created their signature Holiday Let Hot Tub to help accommodation providers ensure all regulations are met effortlessly – a fact that made it a natural choice for Sykes Holiday Cottages. The latest product from the brand means holiday cottage owners can operate with the highest standards and complete peace of mind, so many more beautiful properties could be tempted to add a hot tub to their destination. Rob White, Marketing Manager of Superior Spas commented: “Hot tubs are the ideal way for property owners to catch the eye of holidaymakers looking for accommodation that offers something a bit special. “They immediately add a touch of luxury and a relaxing feel to any stay.